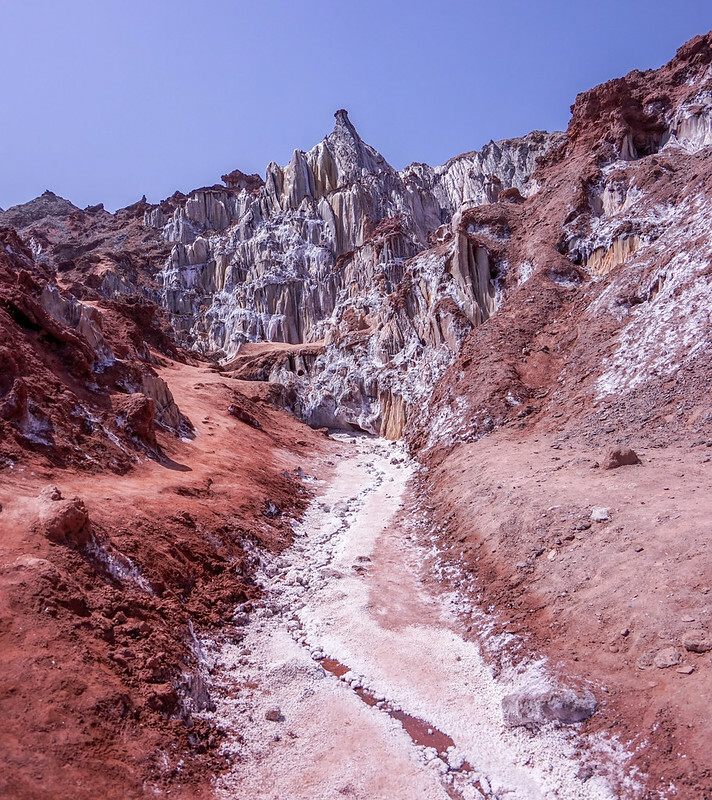 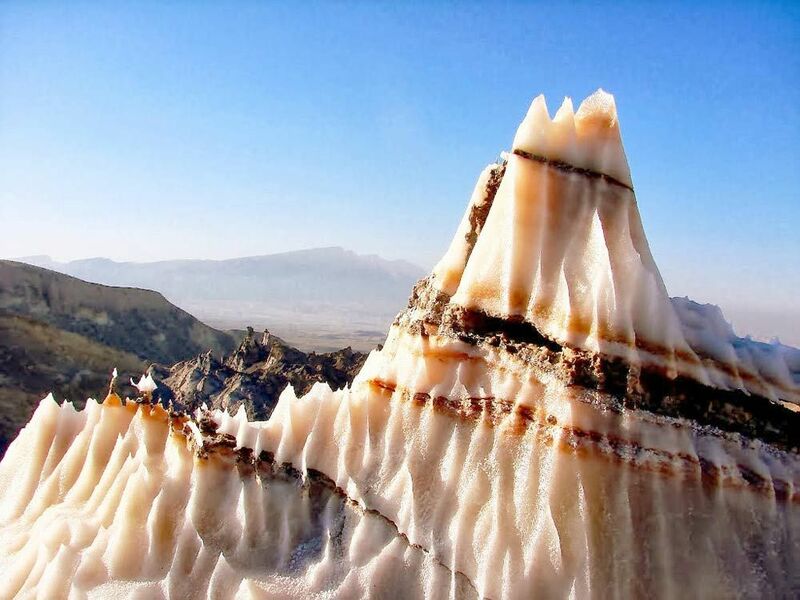 A salt glacier, about 14 km across, in the Zagros Mountains. 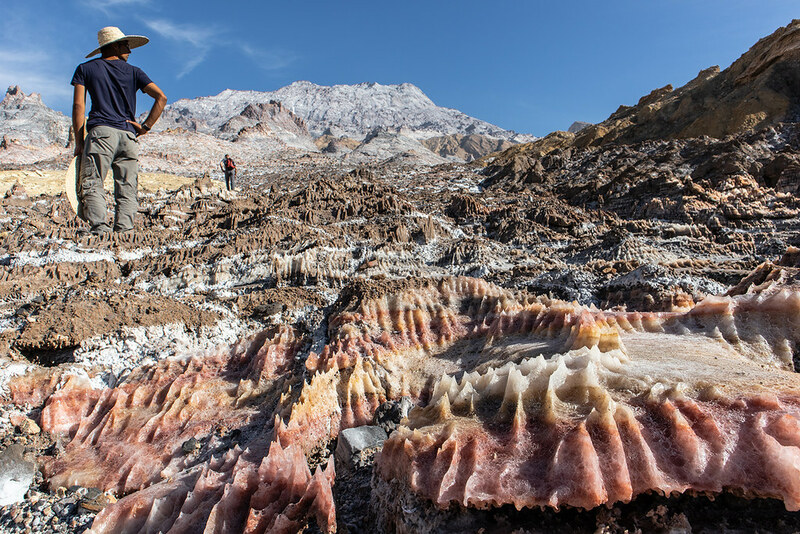 Nowhere else in the world such cumulative of salt domes can be seen, according to UNESCO. 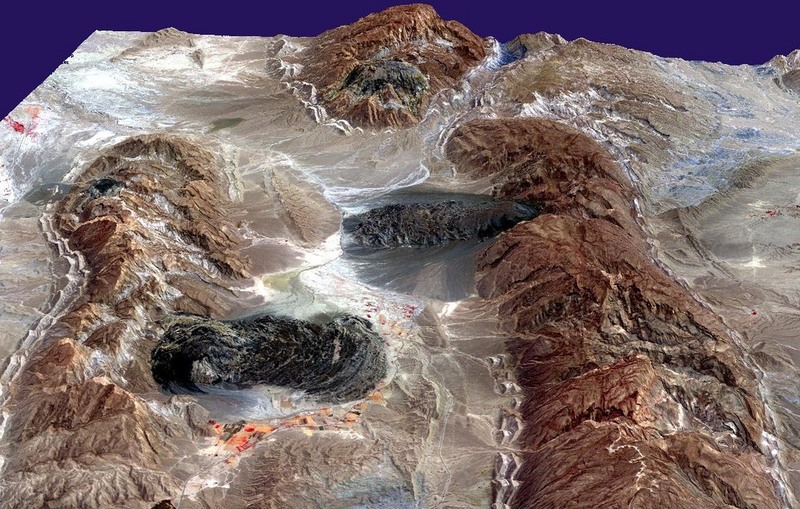 The site is not yet a World Heritage Site, but is being considered for inclusion. 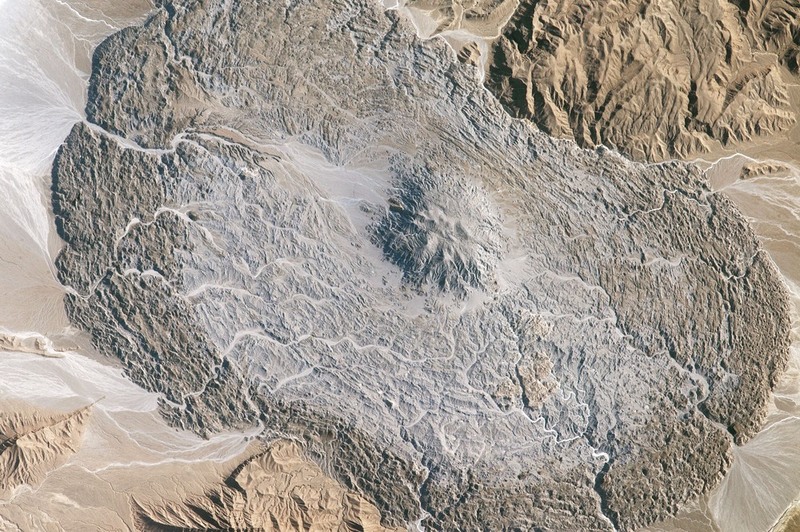 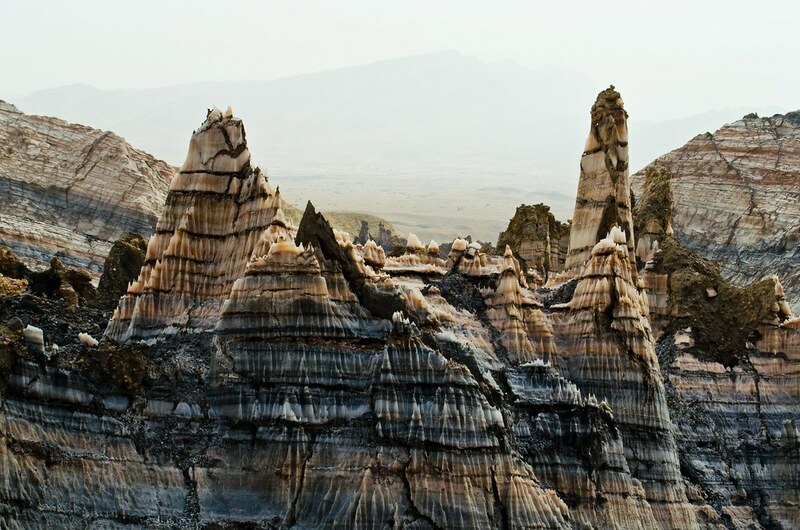 Salt domes (hills) and salt glaciers (dark areas) in the Zagros Mountains of southern Iran.